Published by The Quietus, 14 March 2014. Original post. Metronomy by Mike Mantin (Creative Commons). For all that Metronomy’s 2011 album The English Riviera was compared with Steely Dan and Fleetwood Mac on its release—the critical idée reçu being that it channeled both of these heavyweights of 70s AOR—the truth is that it actually sounds nothing like either of these bands (who don’t sound all that much like each other in any case). Go on, crack open your streaming service of choice and compare ‘The Look’ with, say, ‘Peg’ or ‘Go Your Own Way’. While it’s clear that The English Riviera has taken a few hints from the aforementioned, it’s also clear that there’s nothing derivative about it—it disregards the cruisy pleasures of Fleetwood Mac and Steely Dan for something nervier, reedier. You can run the analysis back further: Nights Out copped comparisons to LCD Soundsystem and Hot Chip, but did Hot Chip ever release a song with the madcap klezmer energy and dinky guitars of ‘The End of You Too’? And can you say with a straight face that Pip Paine (Pay the £5000 You Owe) sounds anything like Kraftwerk? Both critics and listeners need these kind of comparisons, of course—in a landscape without cardinal points, directions to a new location can only be given relative to existing features—but in Metronomy’s case these comparisons seem to obscure something fundamental. Joseph Mount has never been interested in a faithful replication of influences—instead, he returns them to us through the prism of his own unusual melodic sensibilities, revealing the heimlich as unheimlich. 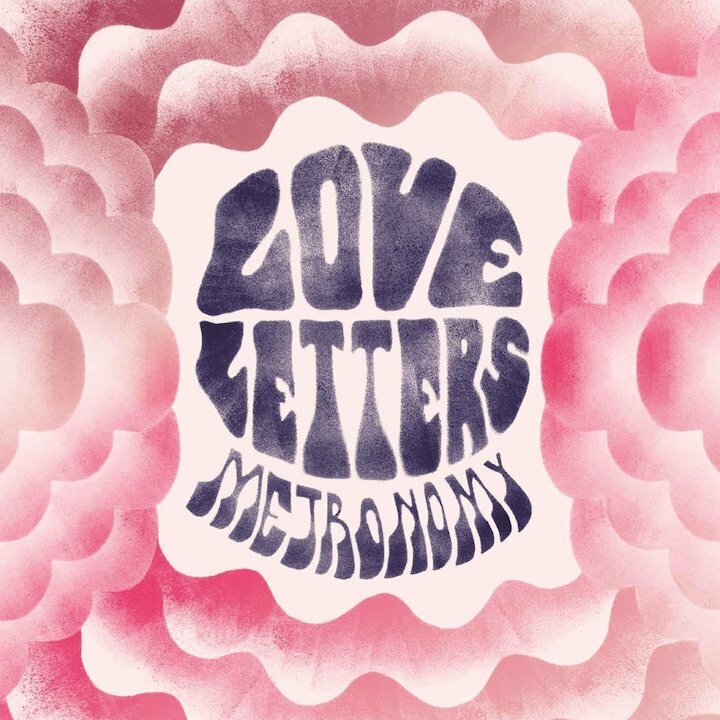 Cover, Metronomy, Love Letters (2014). Love Letters, more than any of Metronomy’s previous albums, gives us a clear sense of Mount’s aesthetic sensibilities. Opening track ‘The Upsetter’ valorises what other artists might consider weaknesses: Casiotone-like electronic drums; cheap organ synths; a banal chord sequence hesitantly strummed on an anaemic-sounding acoustic guitar; Mount’s reedy falsetto, completely devoid of any studio processing or double-tracking. It’s bracingly thin-sounding: were it not for the velvety electric guitar solo that noodles all over the song’s second half, you might wonder if it was an early demo accidentally left on the final product. There’s only the barest hint that Love Letters was actually recorded at Toe Rag Studios (that mecca of analogue authenticity whose pilgrims have included the White Stripes, Tame Impala, and The Kills): the tape hiss that opens ‘I’m Aquarius’, the rich chiming guitars of ‘Month of Sundays’. The songs’ lyrics closely fit the form. ‘I’m Aquarius’ sees Mount’s protagonist calling time out on his relationship in a breathtakingly callous manner: “I’m aware of the procedure / but normally it’s me who leaves her / I guess I’m finished up, it’s time to move on / I’m taking the ring back to where I got it from”. Here’s a man who recognises the intractability of his bad behaviour—this is clearly a pattern—but who papers over the sting of self-recognition with shopworn phrases (”it’s time to move on”) and his opportunistic tightfistedness. While not every string of couplets on the record is quite so memorable, it’s fair to say that Mount excels at using unvarnished language and commonplaces to express more profound truths through a sophisticated textual irony. When the character he inhabits on ‘Call Me’ says, artlessly, “You belong to me”, it’s a sure bet that the object of his affection has escaped him. When the same character vows, ad nauseam, that “We can get better … we can do anything … we can try anything”, we get the sense that he’s the kind of falsely optimistic sucker Sartre would skewer for denying the reality of his situation and overstating his freedom in a grandiose act of bad faith. (Sometimes this gambit fails: the commonplaces seem weirdly robotic on ‘The Most Immaculate Haircut’, which include a clanger about “the most desirable friendship group” and “while you’ve got that hairdo, they’re not gonna call you a rube”.) There’s a sophisticated complementarity between the songs’ subject matter and their form: Love Letters is an album filled with loser men, expressing themselves in dinky, cheap-sounding songs of tremendous sorrow. 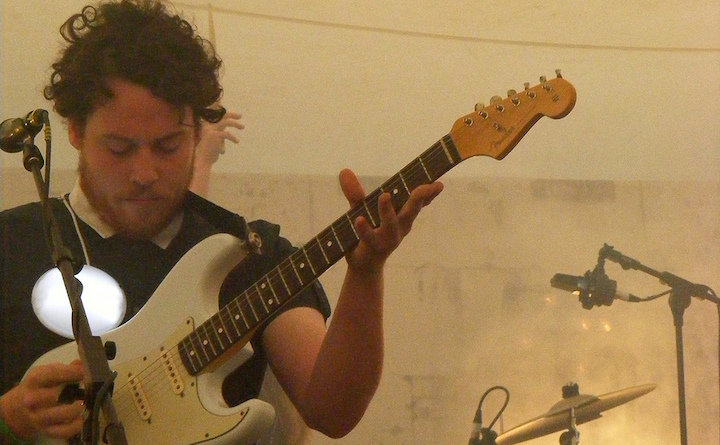 Where listeners might have forgiven Mount for his characteristically etiolated sound in the context of him shaking up indie-dance (Nights Out) or reinventing his group as heirs to FM pop (The English Riviera), Love Letters makes it apparent that Metronomy will always cherish a kind of sonic thinness: all those plinking guitars, wobbly synths, and Mount’s yelping falsetto vocals. This thinness means there’s little to hold on to in Love Letters: like a vivid dream melting away in the first few minutes of morning, Love Letters has an uncanny beauty, but one that remains firmly out of reach.